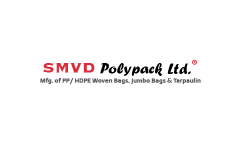 Business description - SMVD Polypack is engaged in the business of manufacturing of PP (Polypropylene)/HDPE (High Density Polyethylene) woven sacks bags & Sacks, Leno Bags, Jumbo (Flexible Intermediate Bulk Container) FIBC Bags & HDPE Tarpaulin. The company started its operations with initial capacity of 1200 MT per annum and at present has the installed capacity of 4420 MT per annum. The manufacturing facility of the company is situated at the prime location in Parganas District of West Bengal which close to and well connected with Kolkata Port and Airport, Haldia Port. The manufacturing unit of the company is constructed on well-developed land having area of about 73843.2 sq. ft. and equipped with the latest technology. SMVD Polypack at present serves both B2B and B2C sectors. Its customer segments include fertilizer plants, Food Corporation of India, Mining & chemical industries, flour mills, ceramic industries, Steel Industries, Plastic compounds, Rice Plants, Poultry Farms etc. Under B2C segment, it supplies products to those parties who use its plastic packing products for packing of their finished products. Tata Chemicals Limited is one of the top names from its direct customers. One Point One Solutions IPO allotment status is now available on Skyline Financial Services' website. Click on this link to get allotment status.